''Bare Hands and Open Arms"
Bare Hand Collective is an interdisciplinary collaborative working space and education hub for makers, artists, musicians, designers, and the like. Our main goal is simple: to make better. We hope to create an inclusive, diverse, and collaborative environment for creatives; an accessible location for our regional community to source reliable, commissioned work for home and business; and a creative education facility for skilled trades, artisanal techniques, creative conceptual thinking, and community-driven initiatives. We currently house 12 independent artists or businesses, the Charlotte Mason Printing Company letterpress and design studio, Workweek Screen Print Studio, and the Losobe Woodworks shop. We are growing our collective to include satellite members and businesses throughout Pensacola, as well as opening membership opportunities to students, families, and professionals. Questions? Curiosity? Contact us here. Our founder, Jeff Bere, started Losobe Woodworks in 2015. You can find his work in various businesses downtown, such as Perfect Plain Brewery, Wilfrid's Barber and Fine Goods, Wild Lemon Fitness, End of the Line Cafe, and more. He is dedicated to not only growing the makers community of Pensacola, but also investing himself fully in his craftsmanship and quality. See his work and contact him here. 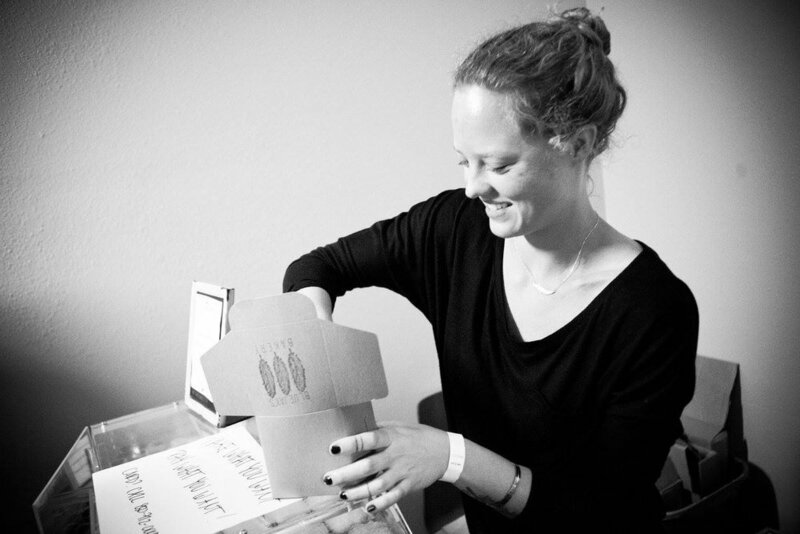 Our manager, Caitlyn Cooney, started Charlotte Mason Printing Company in 2016. 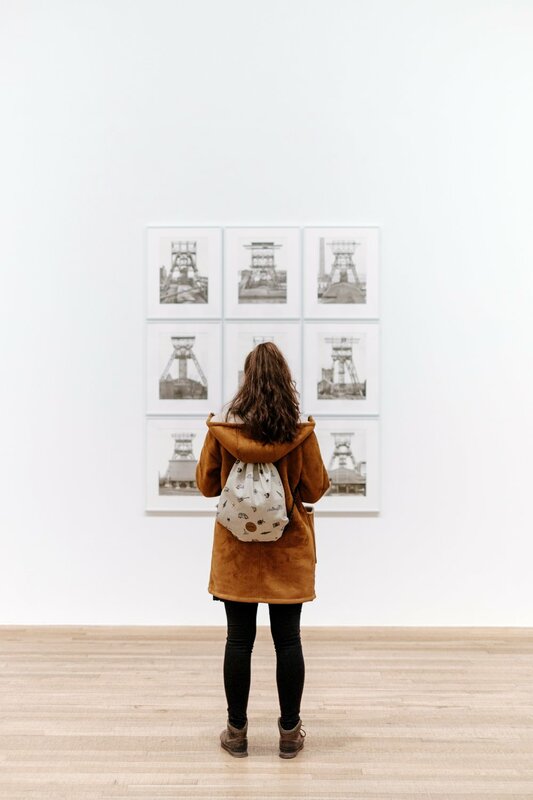 You can find her at many of the local markets in the community such as Hot Glass Cold Brew or Gallery Night, as well as at her monthly historic tour at the Museum of Commerce every third Tuesday. Everything from posters, greeting cards, business suites, and wedding collections are all printed on her 100-year-old letterpress machines. See her process, work, and contact information here. Workweek Studio is ran by local screen printer Richard Humphreys. He specializes in show posters and fine art prints. Need t-shirts made? Bare Hand and Workweek will partner to get you a run! See his work, shop, and contact information here. Our Artist Collective is comprised of 7 core artists working out of our warehouse studios. They include Famous Gabe, Shauncey Fury, Poppy Garcia, Jarrod Goldman, Jeremy Strength, Ali Roudabush, and Britney McClure. Members have worked collectively on projects such as Cubed at Foo Foo Fest, along with various public art events and markets throughout the city. Learn more about their stories and see their work below. 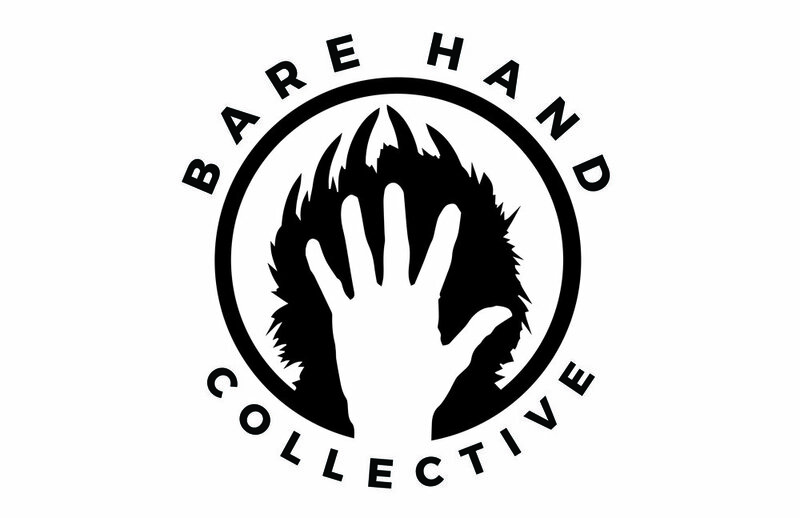 Bare Hand Collective was founded in August of 2017. Our ultimate goal has always been to offer a non-profit component of our Collective in order to foster educational programming and community outreach initiatives, and in turn support the evolution of Pensacola’s makers circle. For more information on becoming a part of the non-profit, making a donation, or becoming a member of our board, contact us here. 1. Youth - first and foremost, we are structuring an aspect of our educational programming to encourage children to learn critical creative skills early on. Between all of our facilities (woodworking, letterpress/design, and fine art) we hope to educate children on things like basic hand-building skills, concepts of visual branding, artistic expression and vision, and an overall understanding of their creative voice. 2. Creative entrepreneurs and professionals - as a collective, we have found that we have learned more from one another's wisdom than many of the valuable lessons from our formal education. Our goal is to hold keynote lectures, host talks with local creatives, and have networking nights in order to learn how we as creatives can better approach the management of our businesses. Need internet or a space to finish a large piece for a half day or a full day? Come hang out at the collective and gain some last minute inspiration. Are you a printmaker or a woodworker that requires special equipment? A student that needs access to a specialized print studio? We can help with that. Contact us here. Are you an artist that wants to be a part of Bare Hand Collective but stay in your current work space? You can participate in our programming, become a member of the nonprofit, and benefit from our network for a low monthly fee. Interested? Contact us here. Interested in supporting our Maker community on an annual basis? Benefit from discounted event entry and educational programming by becoming an annual member. Interested? Contact us here. Interested in becoming a member of Bare Hand Collective? We want to grow beyond our walls, and benefit the community with programming, education, networking opportunities, and more. Each member will be issued a limited edition Membership card to be presented for various events. All annual subscription fees go strictly toward supporting Bare Hand Collective and our non-profit. Your funds will allow us to host community events, fund educational programming, support our artists with local projects, and more. Want to see us get involved with something specific? Contact us here. If you wish to make a donation to our 501c3 non-profit, Bare Hand Collective Corporation, please Contact Us to set up a meeting. > Opportunities for entrepreneurial development, networking events, makers classes and more. > Educational opportunities for the entire family, summer camp programming, and more. Questions? Commissions? Want to be involved? Drop us a line below.